So What Makes a Great Project Manager? A controversial question to ask: What makes a great Project Manager? Is it about great client management, great internal politics, great quality delivery, or about merely creating great processes? It is actually all of these and much more. Project managers are responsible for managing work by applying skills, knowledge, techniques, and project management tools to predict activities to meet the requirements of the project. It is a PMI definition of project management that concisely communicates the idea that the job of a project manager demands to possess various competencies, of which working with the right project management tool is one. It is essential to be knowledgeable, but it is equally important to the have proper tools, knowing how to apply the proper methods to the undertaken projects. It is useless to understand project management theory but lack the skills to apply what you know. Similarly, having the proper methods and tools without the ability to put them to appropriate use is meaningless. It is worth exploring what makes a great Project Manager for several reasons. First, it is a basis for what to develop as skill sets, and second, an indication of what you need to look for in other people when recruiting to form a team of skilled project managers. Managing or being good at telling other people what to do doesn’t really count. However, leading others is an entirely different story, one which is the key to the success of any project manager. Simply put, to become an excellent project manager, it is crucial to home your project management skills where experience, theory, and knowledge of proper project management application come together harmoniously. In this article, we will discuss one very interesting topic. This is the need for personal project management software via email. Many of you will ask: “Does this even exist?” Fortunately, yes. Let’s crack through this topic. Finding good personal project management software that supports email based project management is challenging. Not to say almost impossible. There aren’t many good personal project management tools to work via email. Not to mention the ability to have a Kanban board withing your email. The email based project management saves time and makes your work done really faster. And here is why – you can add notes and make to-do lists for your emails and tasks. You can attach documents with any task, send emails and meeting invites, track multiple projects, and delegate tasks, all through your email. 4) Calendar and timeline view (#4 shows my calendar availability at a glance). So yes, the personal project management via email is possible with a single application. Finding the right project management tools can mean the difference between being able to achieve optimal efficiency or having poor efficiency throughout your projects. 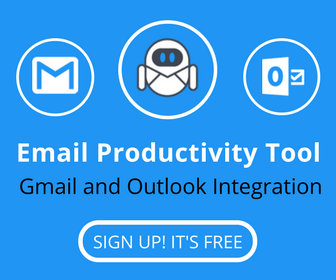 Flow-e is designed to allow the user to achieve optimal efficiency directly in their email inbox as one centralized hub without the need to switch between different apps for the complete set of project management tools. The primary benefit of using one application as your complete project management tool is the fact that it centralizes all of the project management related tasks and actions into one single hub. 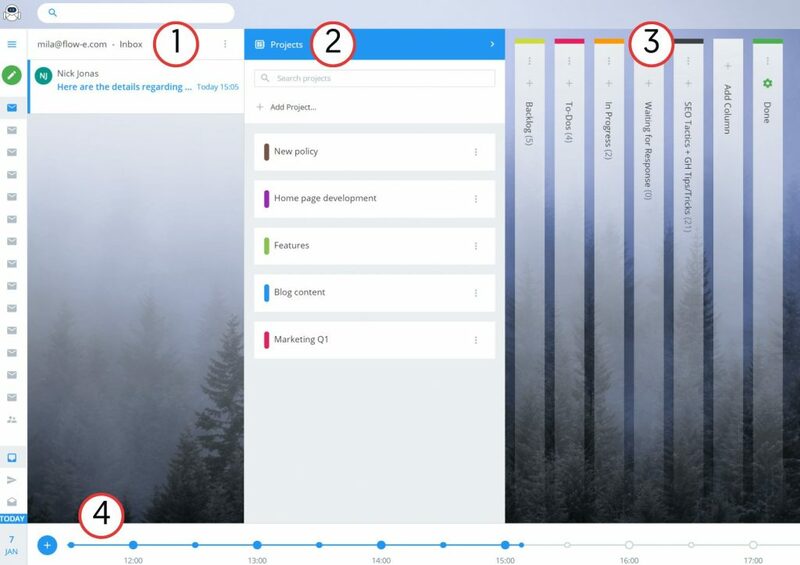 For example, Flow-e, adds a visualization layer on top of your existing inbox, which eliminates the need to constantly switch between apps or browser tabs to see all of your projects-related tasks and data. A good personal project management software should offer some specific project management features added to your existing inbox, making it a much more complete and powerful tool that can be used to make your projects run much more efficiently. You should be able to create, schedule, and remind yourself of tasks directly from your inbox while seeing the progress of your projects. It is a big plus to be able to visualize your calendar and even track delegated tasks given to your team members. With all of this, you should be able to effectively manage all of your projects without ever having to leave your inbox. One of the biggest blockers is having to learn how to use different project management tools constantly. When you use a PM application which exists on top of your email inbox solution, the learning curve is relevantly low as you already know how to use emails. This could also decrease the amount of time it takes for you to integrate the project management features into your workflow. This is precisely where Flow-e helps could assist you to achieve greater personal project management efficiency so you can focus on the right tasks in any project you lead.